I have to admit, I love LEDs. Who doesn’t? But when I came across this awesome Instructable from user Sbbrain, I started to go nuts. 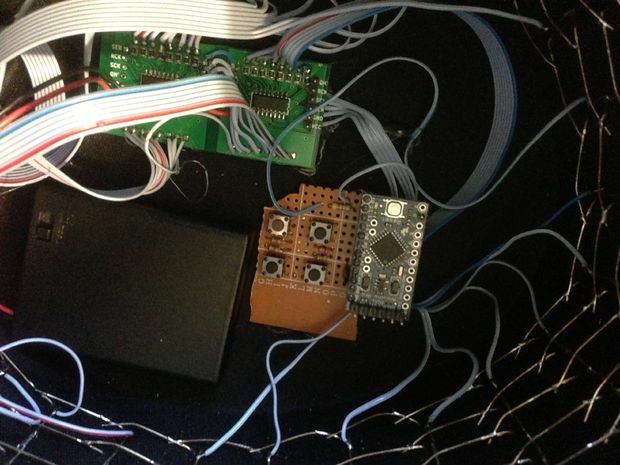 He made a awesome LED hat using: an Arduino, 4 shift registers, 4 buttons, 4 triple-A batteries. And this most important component of all: The LEDs. In this project Sbbrain used not more than 200 LEDs. He wired the LEDs up so they are in a 25×8 matrix. So how about a bit of code? This is where most of the awesomeness starts. You can make your own animations for the hat. He didn’t use the Arduino IDE to program the Arduino. Instead he used MariaMole. This allowed him to write the code in C++ instead of the C-like Arduino language. 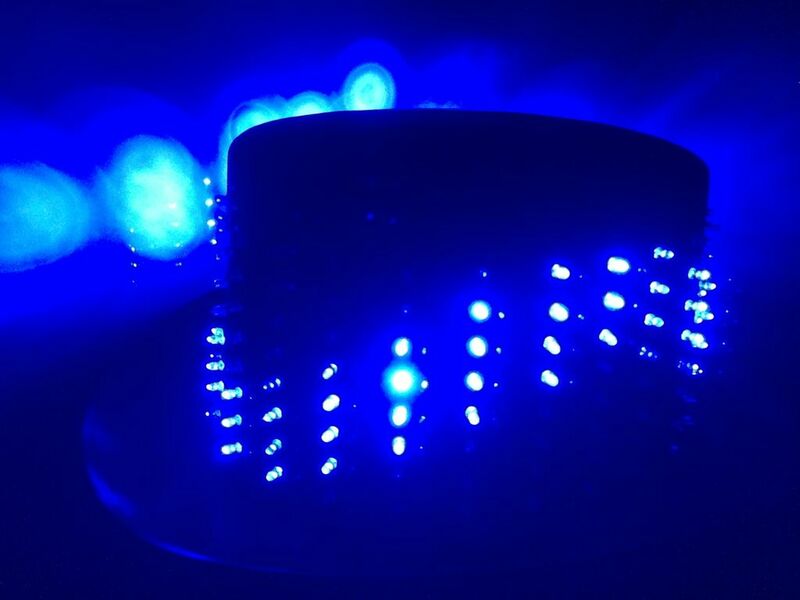 The videos from this magical LED hat are available on the Instructable page from Sbbrain. I think this is such an awesome project. And if you made any custom animations for it, I would love to see it.